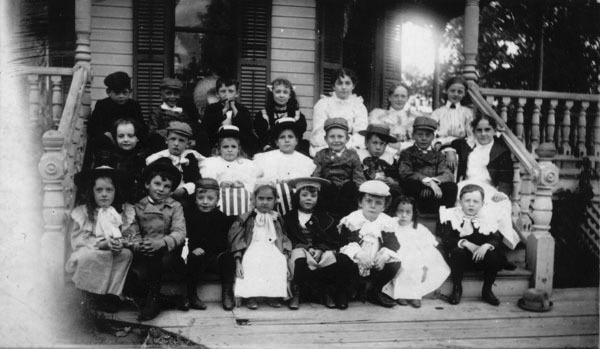 Description: Group of children identified as a party at Frank Robertson home, corner of Waco and Avenue A.
Keywords: People, organizations, clubs, and groups, fashion, residences, Wichita. 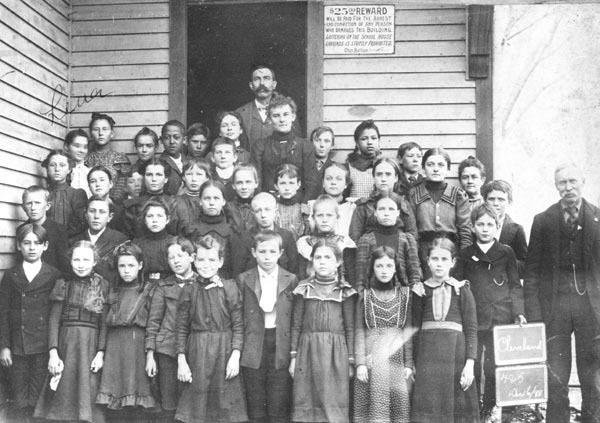 Description: The Fourth and Fifth Grade students of Cleveland Elementary School. 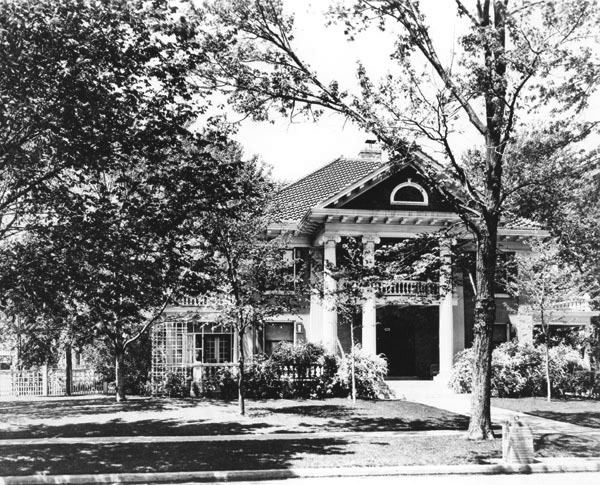 The school was located at the corner of 11th and Cleveland. It was only in existence from 1890-1901. This photo was taken December 6, 1899. Keywords: Education, people, fashion, children, African American. Description: William F. Schell residence, 1526 Park Place. Schell was a nurseryman. 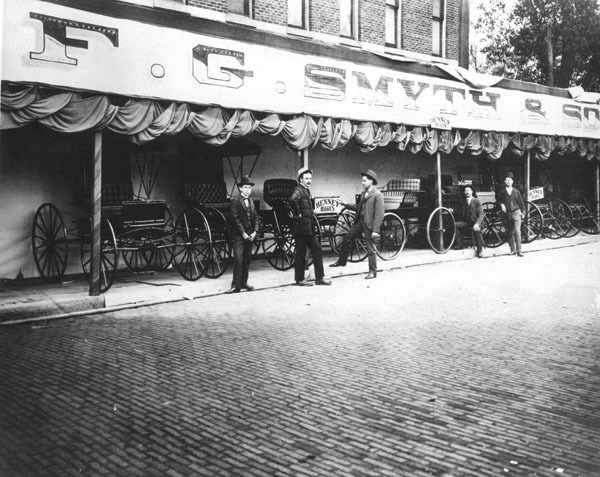 Description: F. G. Smyth & Sons display at the Carnival and Street Fair. They were dealers in Henney buggies. The location of the street fair was Main and William, to English, and over to Market and up to William. Keywords: Business and industry, public events, people, fashion.